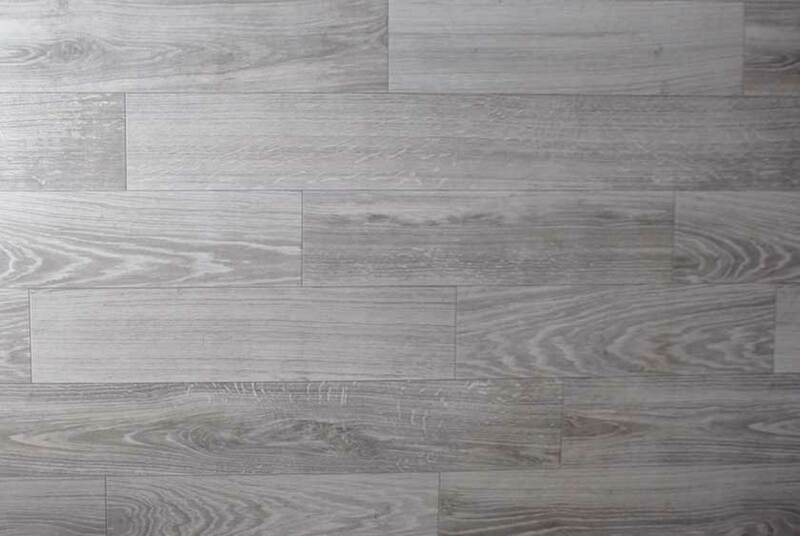 The A48's architectural design and quality construction is extraordinary. 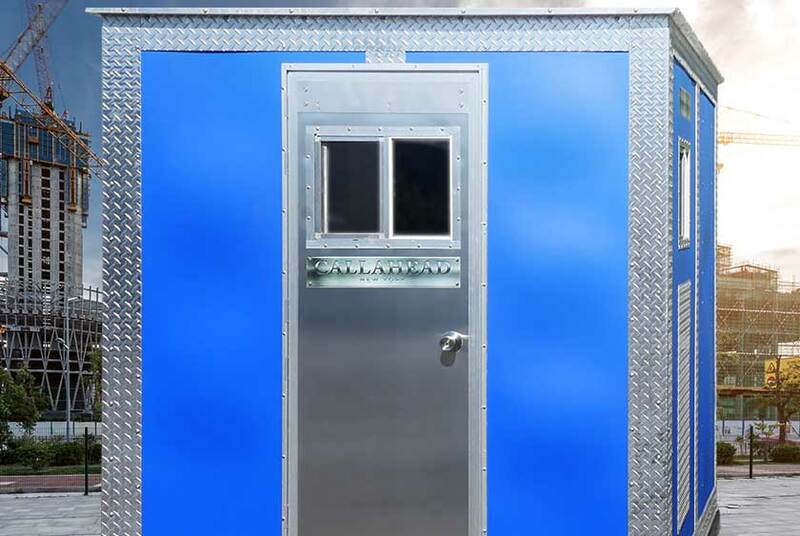 The A48 SECURITY BOOTH was built using only premium heavy-duty materials and high-density polyethylene marine grade plastic.The A48's exterior design incorporates five different metals which include marine grade diamond plate aluminum with built-in marine grade stainless steel fasteners. 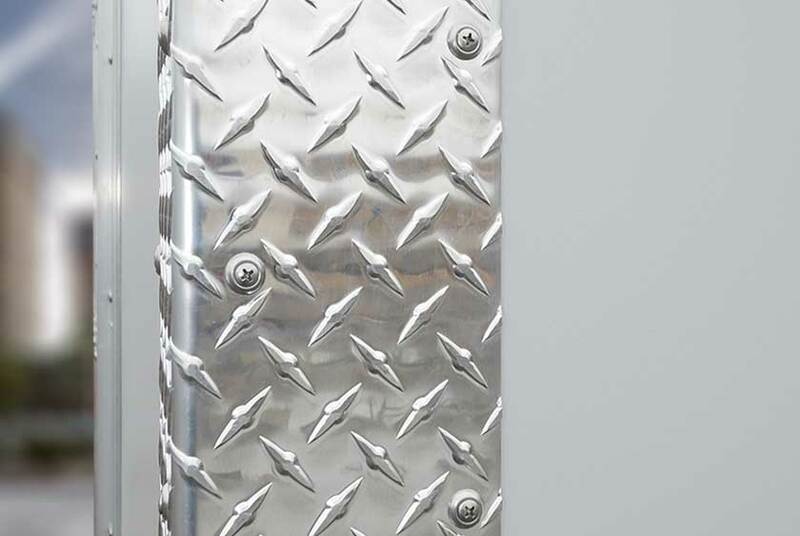 The details also consist of marine grade aluminum corner moldings, base moldings, and aluminum panels. 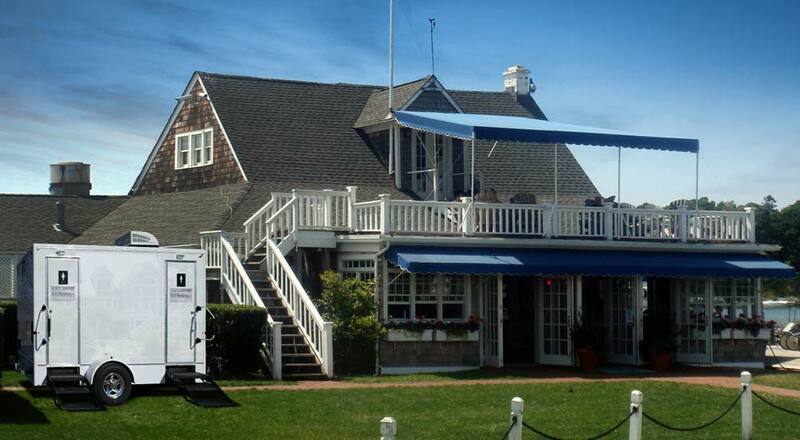 The roof moldings have an aluminum trim complimented by aluminum ﬂats. 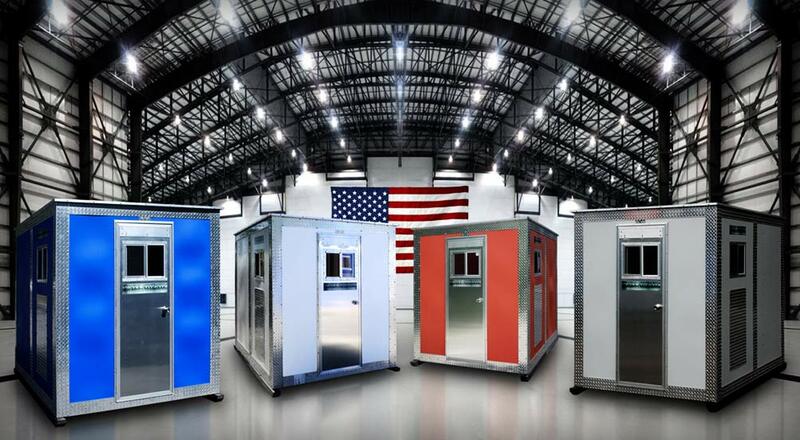 The A48 SECURITY BOOTH is available in five color choices of white, dolphin gray, orange, green and blue. 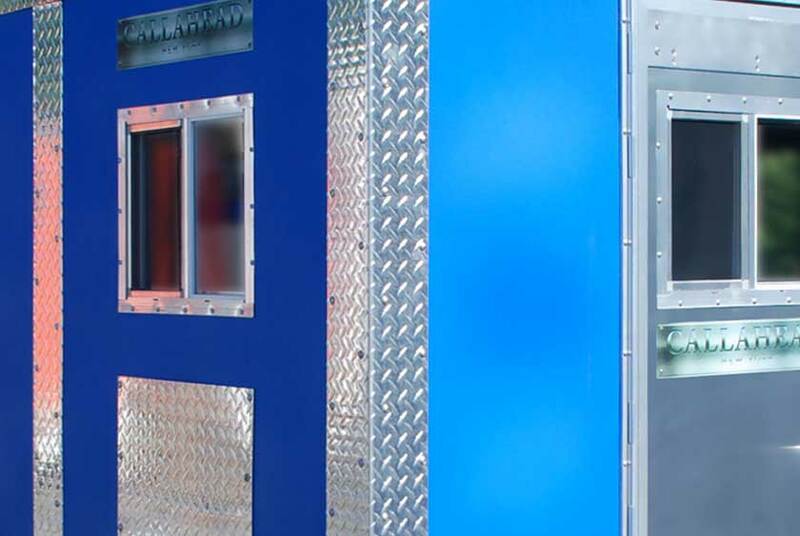 It is the only security guard booth in the industry that will add value to your location and will be appreciated by every security detail. 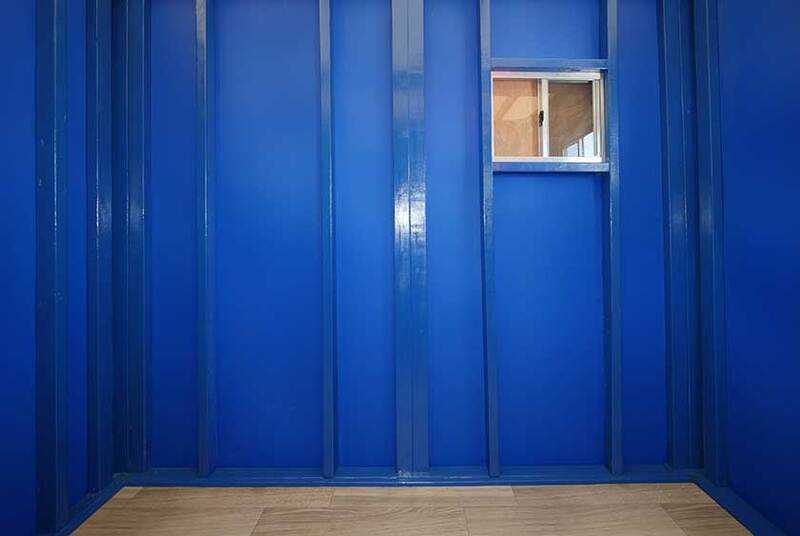 A48 SECURITY BOOTH is not just for construction sites. The A48's extraordinary architecture makes it the ideal choice to secure landmarks, office buildings, stadiums, museums, and estates. 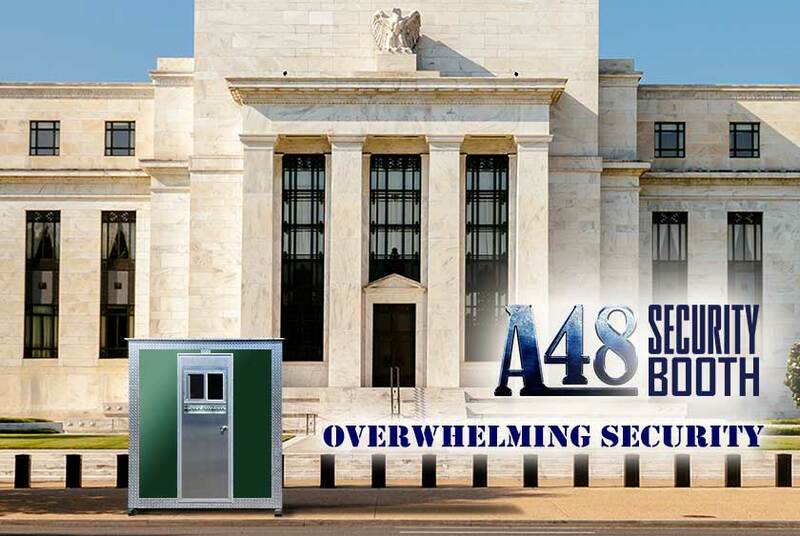 The A48 SECURITY BOOTH is also an excellent rental as a ticket or cash collection booth for concerts, parking lots, sporting events and seasonal locations in need of a portable payment station or security. 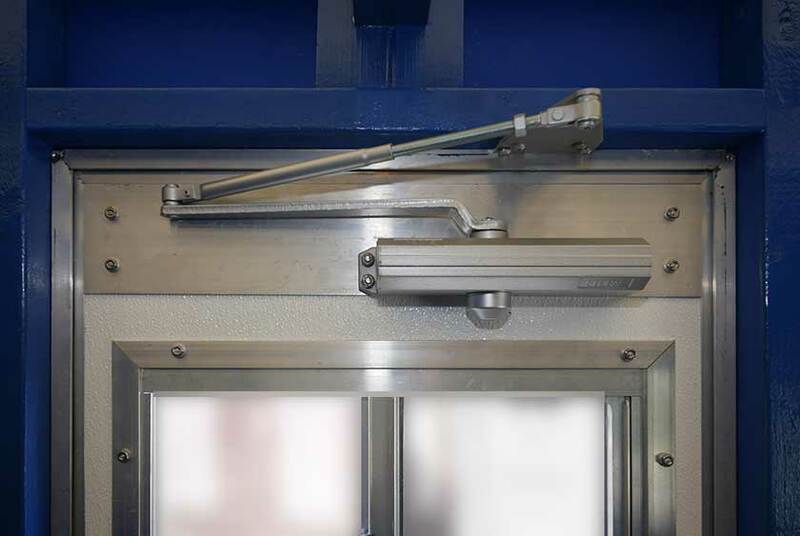 The A48 SECURITY BOOTH has an auto close commercial grade aluminum door with a key locked entry. There is also an interior locking system. 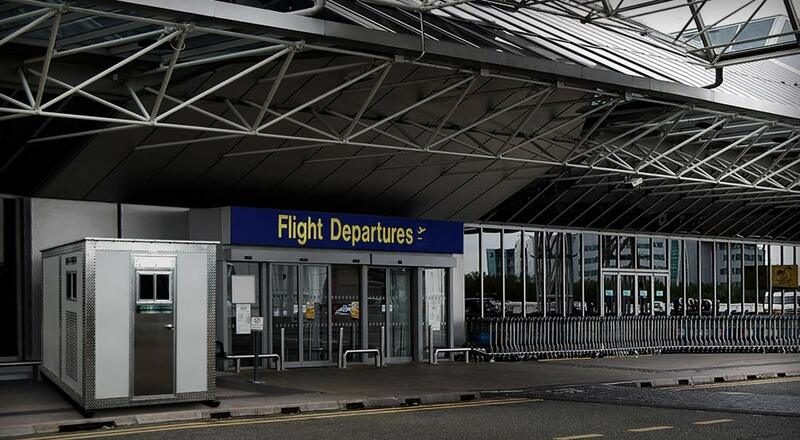 CALLAHEAD signage is displayed on the door's exterior to represent the best in the industry. Once inside the A48, you will immediately notice it has a very spacious 48-square foot interior. 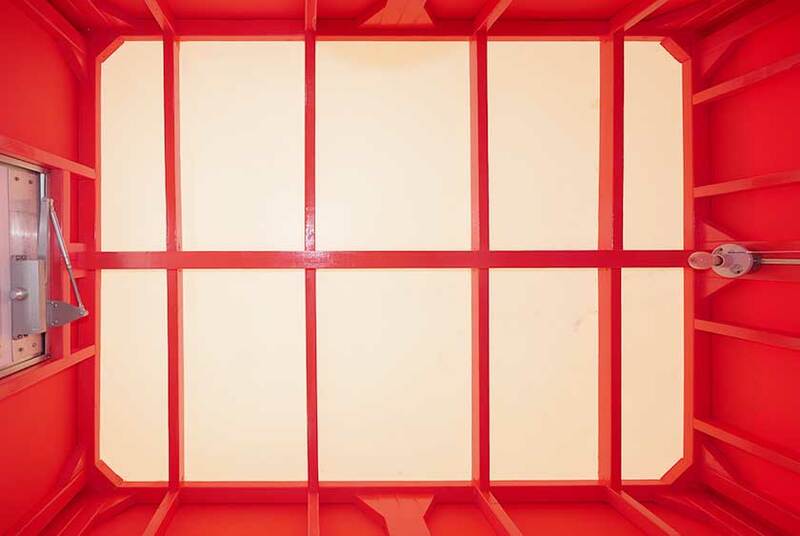 The interior walls come with a high gloss cherry wood finish or a painted interior to match the exterior color. 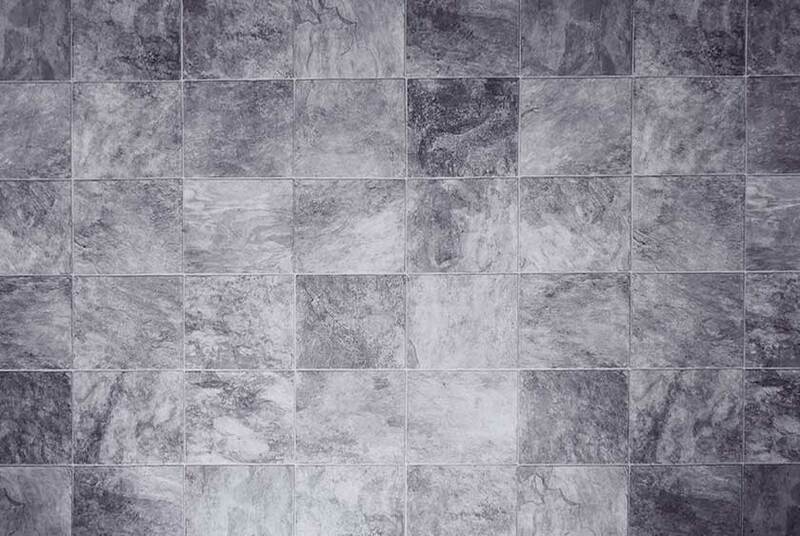 The two ﬂooring options include a beautiful Armstrong faux wood or faux tile. 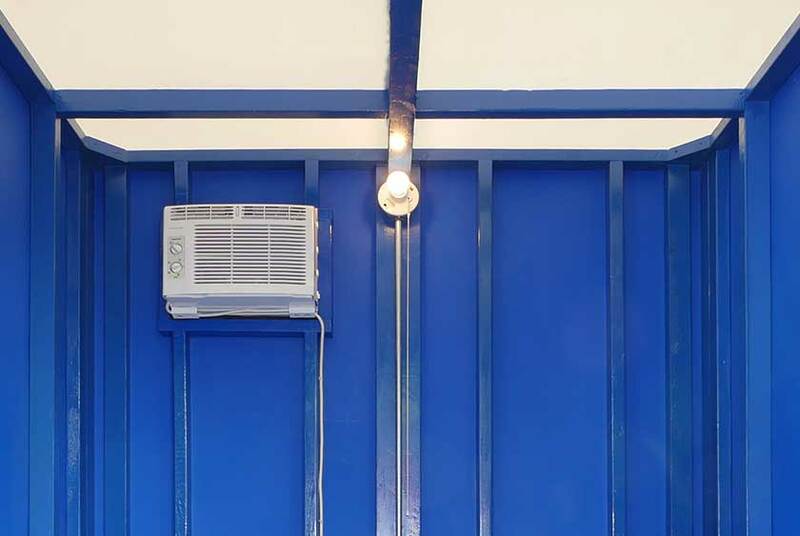 There is a pull chain porcelain light fixture to provide plenty of light plus a two-way 110-volt electrical outlet. The A48 SECURITY BOOTH is weather tight for use anytime of the year. A thermostat controlled 1500 watt Braun heater will ensure a comfortable workstation during the coldest winter months. 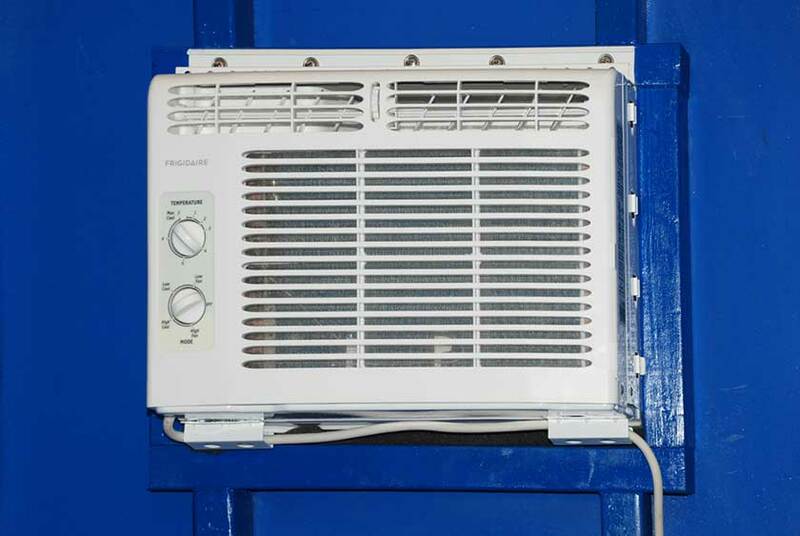 The A48 is also available with the option of an air conditioning system. Three sliding windows are equipped with screens to deliver fresh air inside. All of the windows have a locking system for security. 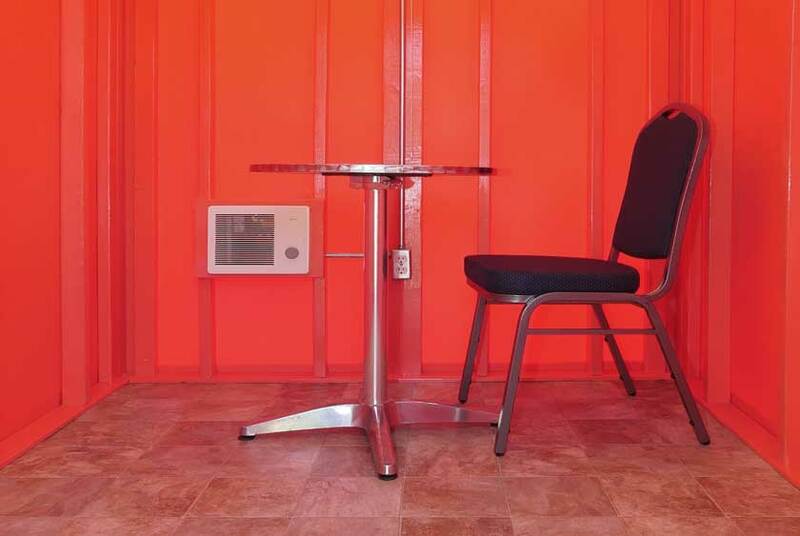 CALLAHEAD also offers the option of our furniture package with any A48 rental for your convenience. 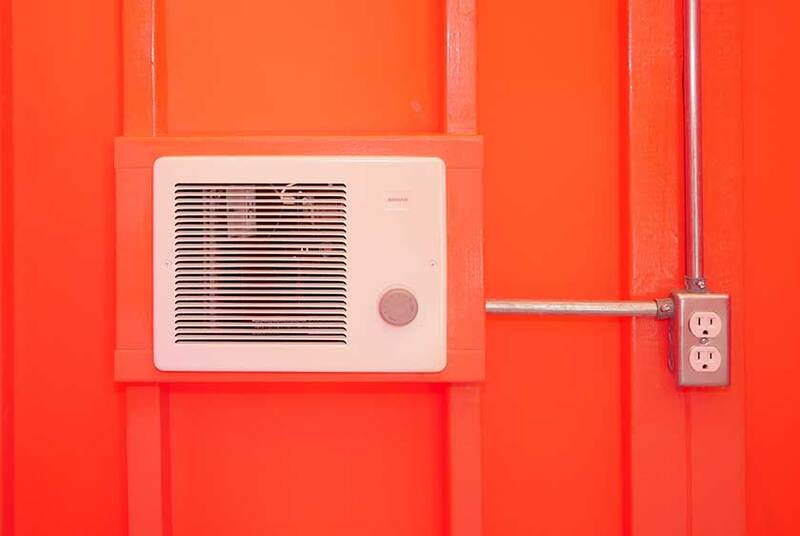 Additional accessory options such as CALLAHEAD'S Headmist automatic air freshener and hand sanitizer dispenser is also available for installation inside the A48 SECURITY BOOTH upon request. 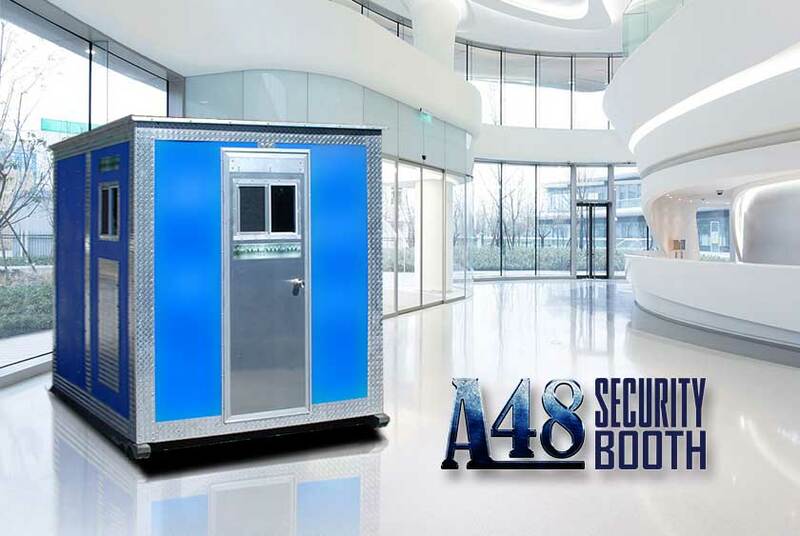 The A48 SECURITY BOOTH will provide every security detail a comfortable work area so they may do their very best to protect locations from theft, damage and public safety. 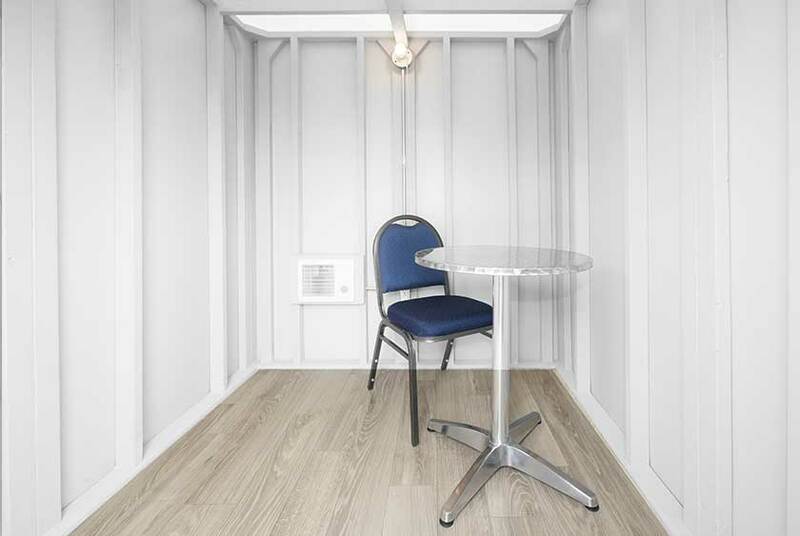 Because this is a CALLAHEAD brand exclusive design, the A48 SECURITY BOOTH is only available through CALLAHEAD. 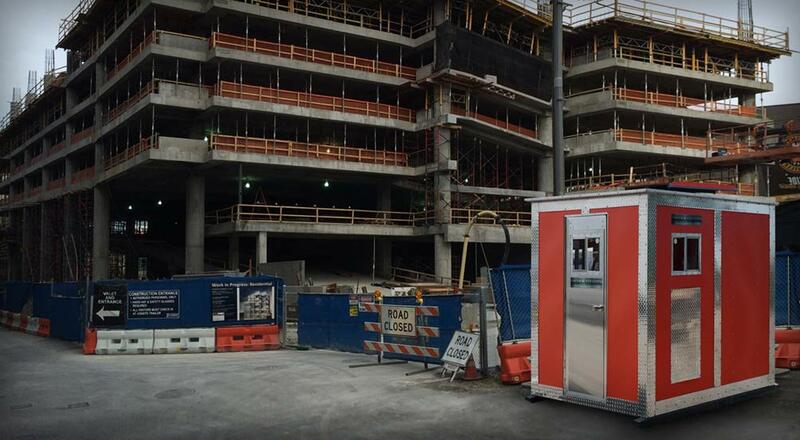 The A48 SECURITY BOOTH rental is available for same day delivery throughout New York City's fve boroughs Manhattan, Brooklyn, Queens, Bronx and Staten Island, Westchester County and all of Long Island's Nassau and Suffolk Counties. As with all of CALLAHEAD's equipment, the A48 SECURITY BOOTH will be delivered by a CALLAHEAD professional uniformed delivery specialist. 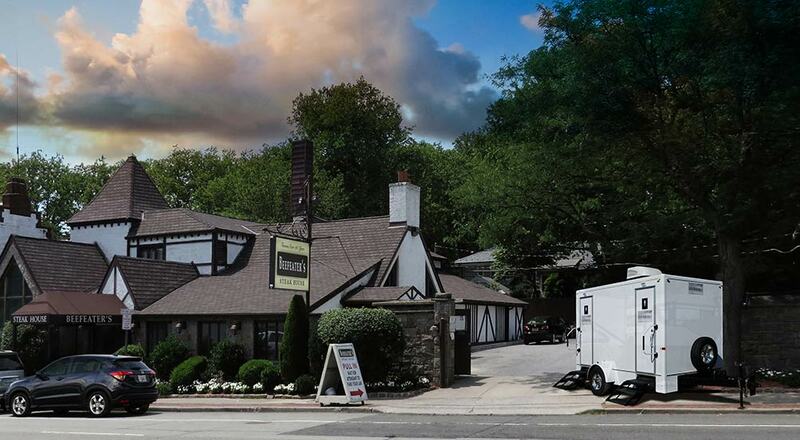 Our delivery specialist will arrive at your location in one of CALLAHEAD's signature delivery vehicles and place the A48 SECURITY BOOTH at the location you select. 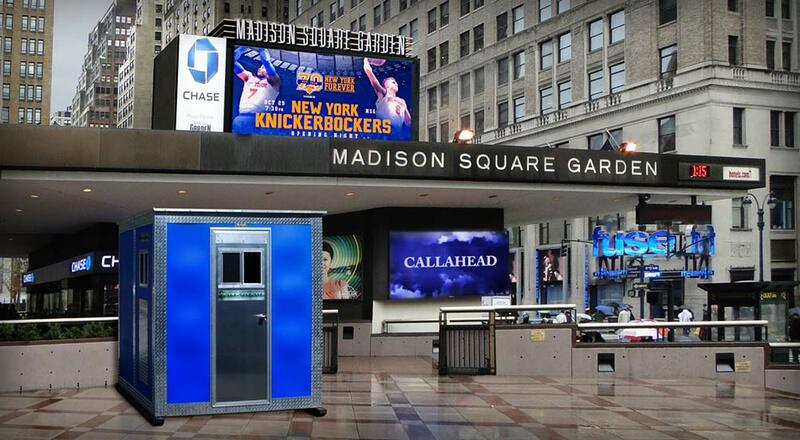 CALLAHEAD is the largest portable sanitation company in New York. In business since 1976, CALLAHEAD'S President and CEO, Charles W. Howard has created more to advance the portable sanitation industry than anyone else. We will continue to design and develop new and innovative equipment, so we never stop bringing our customers the most advanced products in the industry. 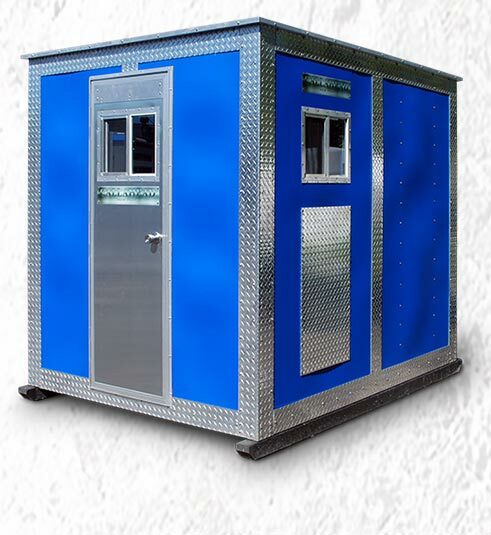 From portable security guard stations to portable restrooms and shower facilities, CALLAHEAD will always deliver the world's best equipment for every portable sanitation need. 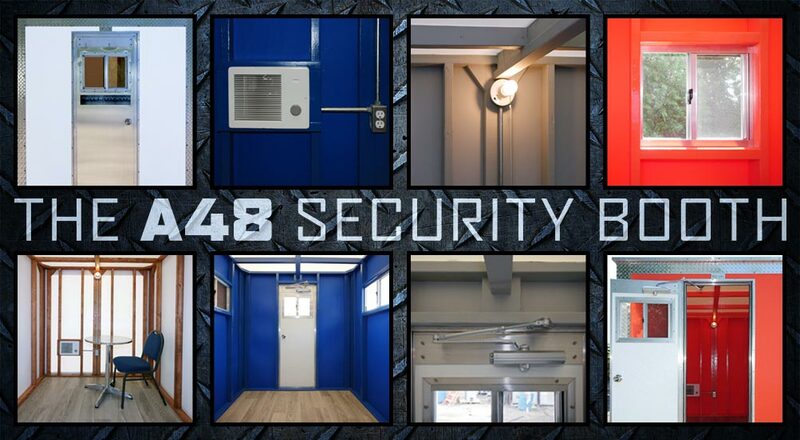 For added convenience, we are proud to offer the below list of optional accessory items to your A48 SECURITY BOOTH rental. 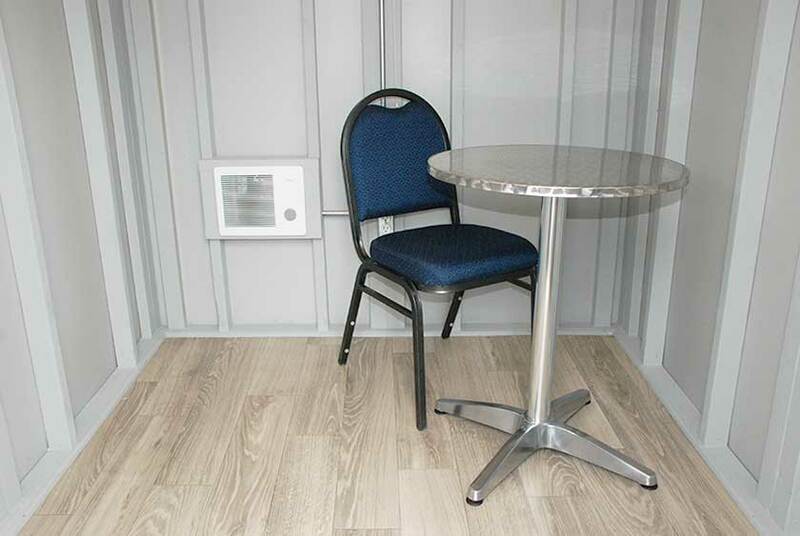 • Table, Chairs, Cabinet rental can be delivered and placed inside the A48 SECURITY BOOTH to create a comfortable workstation for a security guard or cash and ticket booth collector. The convenience of a table, chairs, and cabinet will provide an excellent workspace for every tour of duty. 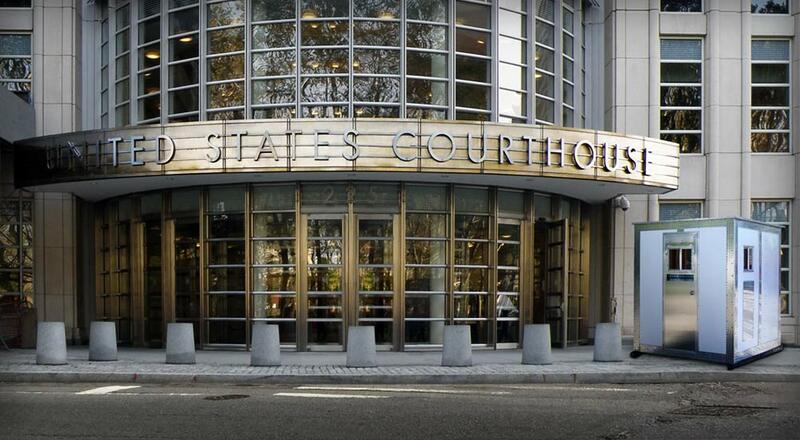 Construction sites, and government and corporate buildings today require 24-hour security. 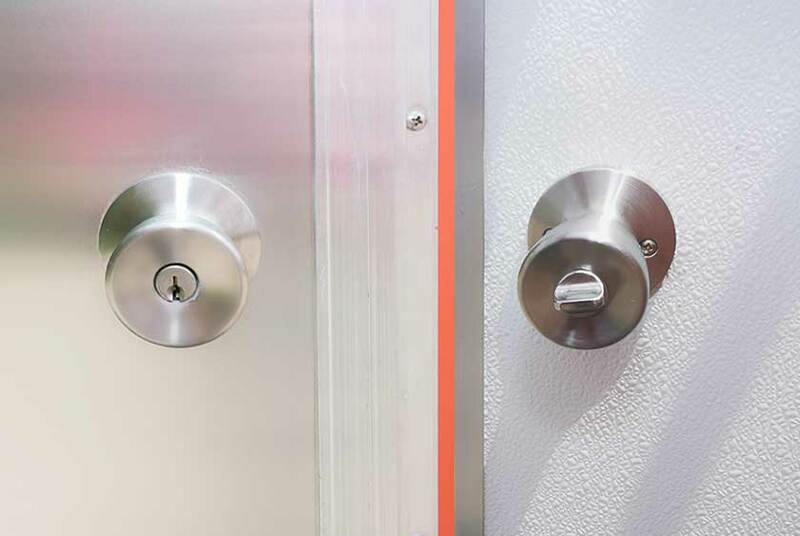 Not only do you need security to prevent theft and damage but also for public safety and personal liability. 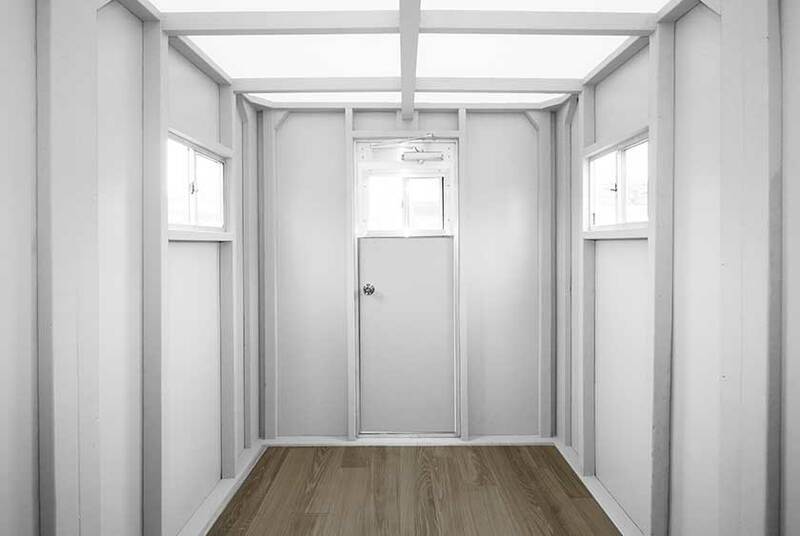 CALLAHEAD'sA48 SECURITY BOOTH is an incredible portable guard booth that will look spectacular in any location, and constructed with marine grade materials. Designed by CALLAHEAD's President and CEO, Charles W. Howard, and manufactured by CALLAHEAD to deliver year-round comfort for every New York security detail. 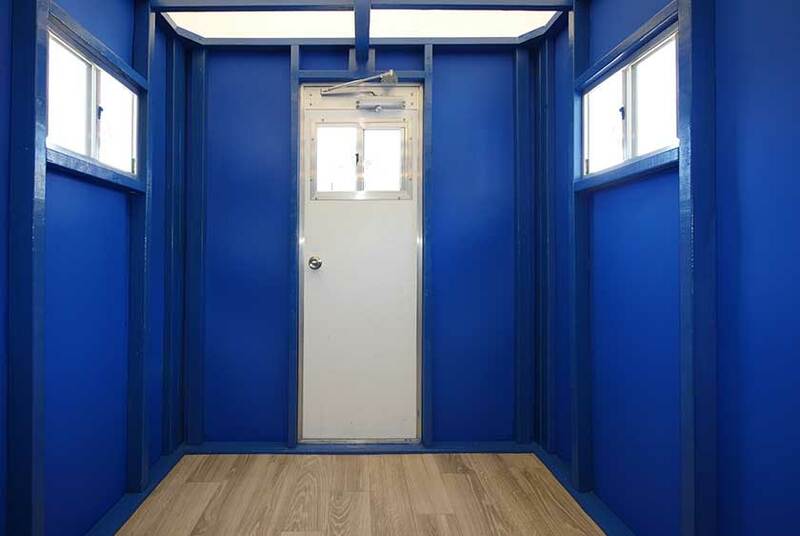 With thermostat heat, and electric the A48 SECURITY BOOTH is by far the most attractive, durable, and comfortable security guard booth available anywhere.